Children 10 years or older can sign up for 2 practices per week. Please keep in mind that before 16 years old, children get more benefit from practicing multiple sports than from specialising in any single discipline. Many professional athletes have played at least two different sports at a high level. Everton has been offering minivolley since 2013. At the start, the program consisted of just 4 children in its first session. In 2017-2018, there were over 40 signed up. During practices, coaches emphasize the development of fundamental volleyball movements (running, jumping, throwing, contacting the ball) and basic techniques (set, bump, serve, spike) and understanding of the game. 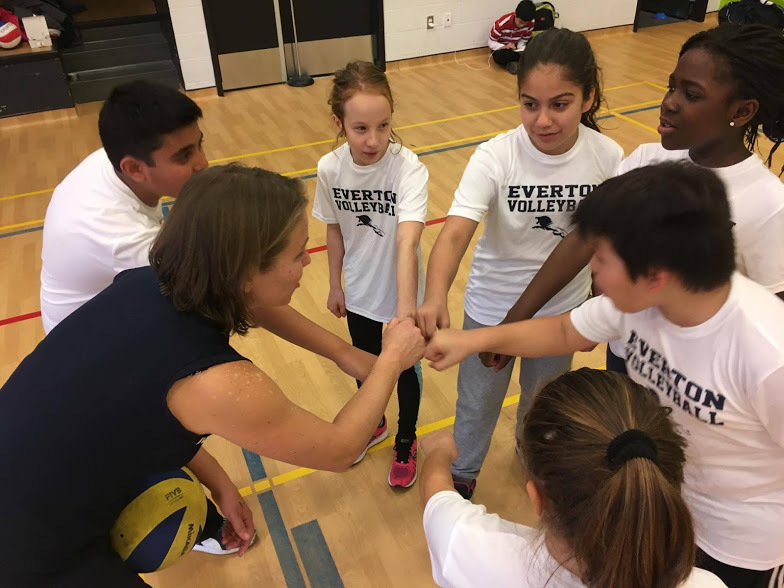 As recommended by Volleyball Canada’s Long-Term Athlete Development (LTAD) strategy as well as the latest studies in physical litteracy, we favor above all the learning of fundamental physical abilities in an environment that encourages participants to persevere in sports. 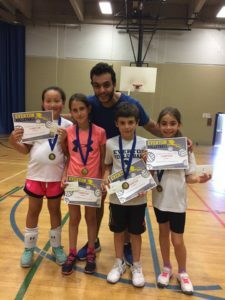 Athletes that excel in minivolley and/or have achieved a sufficient level of physical development will be invited to participate in the 13-14 year old girls/boys performance programs or the 13-16 year old mixed development program (depending on their level). The decision will be the responsibility of the two coaches (minivolley and 13+) and also based on the level of other participants. We strive to be an inclusive club that welcomes players of all kinds. 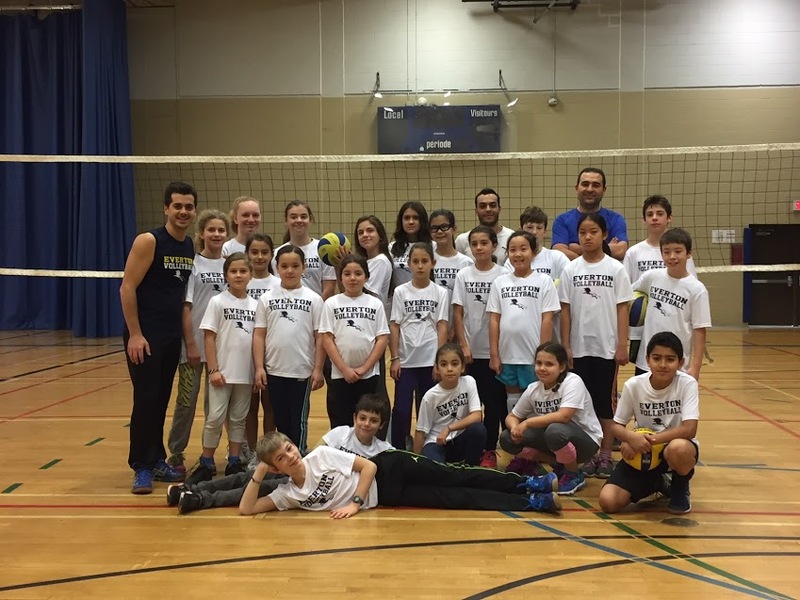 If your child wants to learn volleyball and has a disability, we’ll do whatever we can to accommodate them. Please send any questions you might have to youth@evertonvolleyball.com.